Silk bookmark from T Stevens, Coventry and London. 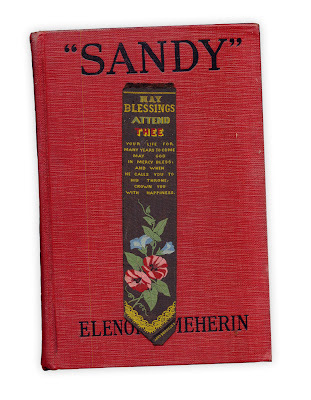 Found in "Sandy" by Elenore Meherin. Published by Grosset & Dunlap, 1926. I've never seen a silk bookmark. Matter of fact, without the lettering it would make a great tie!